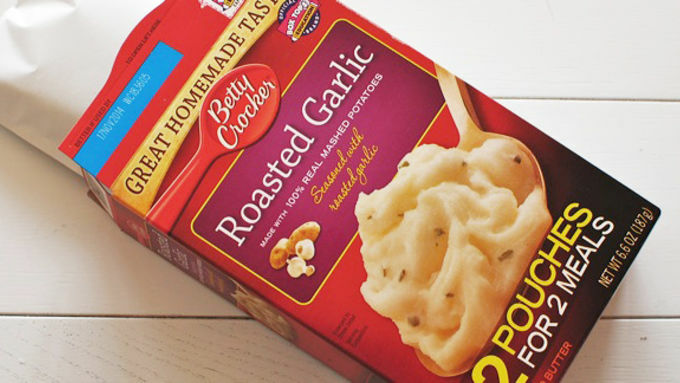 Cook the Betty Crocker™ mashed potatoes, with the milk and butter, according to package directions. Let cool to room temperature. Cook your bacon until crispy. Set aside on paper towels. Once cool, crumble into bacon bits. 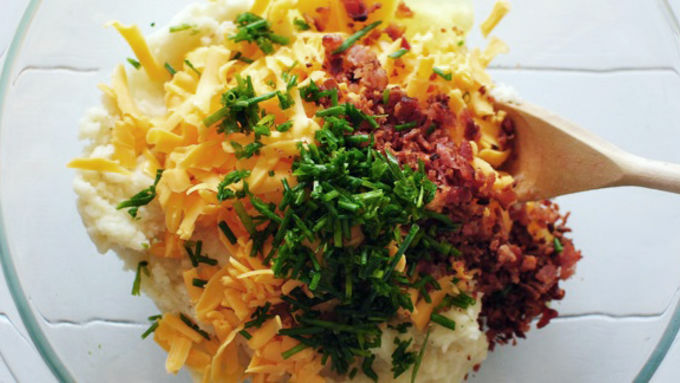 In a large bowl, combine the potatoes, cheese, egg, chives, and bacon bits. Mix until thoroughly combined. Using your hands, roll mixture into 1-inch balls. Toss in the panko bread crumbs until completely covered. Set aside on a plate to rest 15 minutes. Heat the oil in a large, wide pot. Once the oil is hot enough, gently lower the balls into the oil and fry until golden all over. Continue frying in batches and set aside on paper towels to drain. Garnish with extra chives and serve immediately. 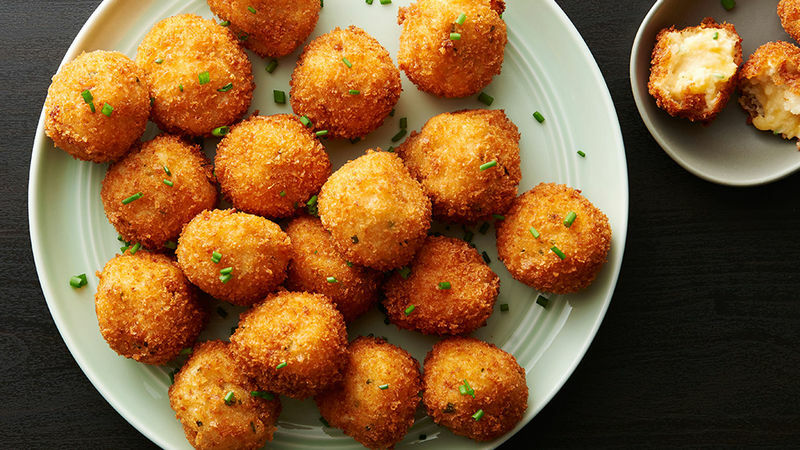 Cheesy, bacony, and deep fried, these loaded cheesy mashed potato balls are super easy and so incredibly good, you'll want to eat the entire batch. We wouldn't blame you if you did. Start with either leftover mashed potatoes, or a pouch of Betty Crocker™ mashed potatoes, and add cheese, bacon, and chives. Give them a quick roll in Panko breadcrumbs then set them to rest for a few minutes. You want them nice and room temperature before hitting the hot oil. Then just fry them to a golden crisp. 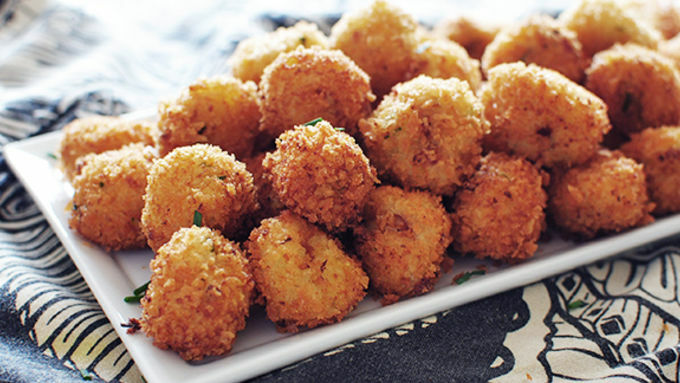 Garnish with a few extra chives and enjoy the golden brown crispy greatness and cheesy centers.